Home > Blog > Black Friday Specials – Up to 40% off All Products! Tomorrow is Black Friday, the biggest shopping day of the year and therefore we’re offering a number of fantastic deals to celebrate our recent launches of the Online Academy and the revised editions of our multimedia eBook series. Monthly subscription offer – Get the first two months for £0.99 each (a saving of £14, thereafter £7.99 per month). Use coupon code: oa_monthly_offer1 or click here to visit the sign-up page with the coupon code entered automatically. Annual subscription offer – Get an annual subscription for just £45 (a saving of £34.99 on the full price of £79.99). Use coupon code: oa_annual_offer1 or click here to visit the sign-up page with the coupon code entered automatically. Premium subscription offer – Get a premium subscription which includes the complete multimedia eBook series and Annotated Study Edition bundle for just £65 (a saving of £34.99 on the full price of £99.99). Use coupon code: oa_annual_offer1 or click here to visit the sign-up page with the coupon code entered automatically. Click here to find out more about the Online Academy and for further information on subscription options and pricing. 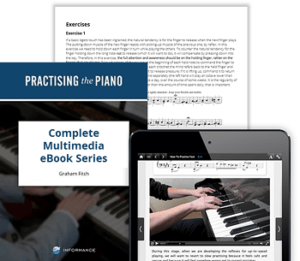 Save over 40% on all eBooks, annotated study editions and bundles on our catalogue, including the complete Practising the Piano multimedia eBook series bundle (normal price: £39.99, offer price: £24.00). ← Practising the Piano – Revised eBook Editions launched!